This shouldn’t be difficult, but still remains a challenge for most of the industry. What is missing, is it people, process or more technology? Let me give you the secret sauce. White collar crime, or fraud, remains one of the biggest silent killers throughout the world. Wait … what? People just steal money, how are they killing? When one considers the intended downstream beneficiaries of many projects, be it public or private, it’s often the person on the street that doesn’t receive the much-needed benefits. How many projects has your government simply written off as failed where large sums of money were paid out without generating a return? It’s obviously a complicated topic, but in many cases, fraud prevention or detection could have helped stop some of these modern-day digital mobs in their tracks, and it all comes down to content management. As the world continues to advance and digitize, so too have criminals become a lot more savvy in the manner that they defraud the state and private enterprises. So while we have made it easier to transact, the digital transformation era ushered in a new subset of white collar criminals, working the bureaucracy of many states to setup a web of shell companies and legal entities to hide super complex transactions which, when forensically investigated, amounts to nothing more than a simple underhanded kickback or bribe. 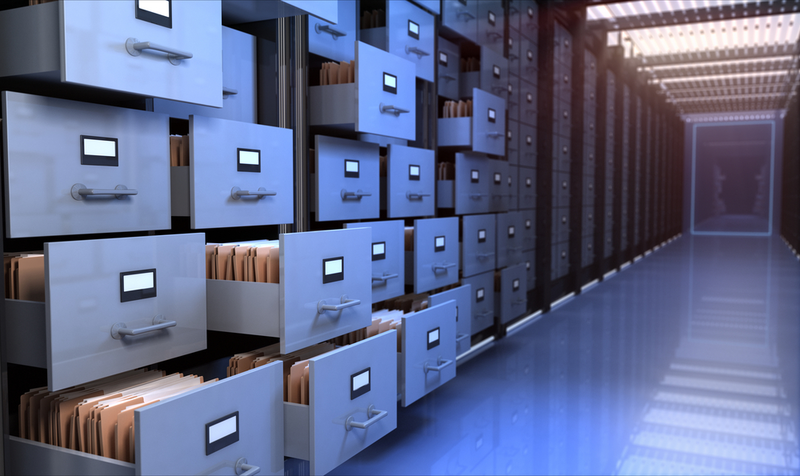 In order to comply with regulations, banking institutions work through large processes to ensure that records used to describe a particular legal entity is in place, accessible and up to date. In many institutions this process is billed as “remediation” of an existing client base. But, during the time it takes to remediate one client, more are opening bank accounts with incorrect documents and content, putting new clients right in the firing line for remediation a few years later when their account is audited. This process is further complicated by market forces requiring commercial banks to open more accounts as part of their “KPIs”, which further exuberates the process of speedily remediating clients on the one side while taking in new clients with inadequate documentation – a process which is costing institutions millions … in any currency. Halting the creation of new accounts to stop inaccurate intake is not feasible, but implementing better systems to manage intake is a must. The issue is that organisations are opening accounts with data that is incorrect, dispersed and a mix between hard and digital formats, without a single information architecture or data storage plan to govern it. There are various practical considerations, but at its core, it’s critical that institutions stop the problem at its source – Intake. But how? Although not an overnight task, many options now exist in the market to completely digitalise the account creation process via omni-digital channels. Those are a dime a dozen, but the critical factor is what the institution does with the data collected. How is it indexed, saved and made available for retrieval later? When does it expire and when should the account holder(s) update them? Large banking conglomerates and massive oil tankers have one thing in common; it takes long to turn. Regulation, internal processes and other elements render the implementation of a brand new omni-channel intake process very time-intensive and it can take months or years to enable proper know-your-customer and verification management that satisfies both the banks and clients. Where content management becomes the key catalyst is the fact that the ever growing content repository can be better indexed and catalogd during the process of improving the user front end, thus taking on a kind of “transform while perform” approach keeping both the commercial and compliance side of the business happy. New digital-agile institutions will start with omni-channel process management and have the power to use technology to their advantage. Playing a crucial role in fraud prevention, these organizations will stop fearing and bemoaning regulatory compliance and, instead, use it as an enabler of client satisfaction, retention and growth. By enabling omni-channel client experiences, client satisfaction, retention and reduced risk of non-compliant penalties, banks will realise a measurable impact on the bottom line – all thanks to the seamless blending of content management and technology.